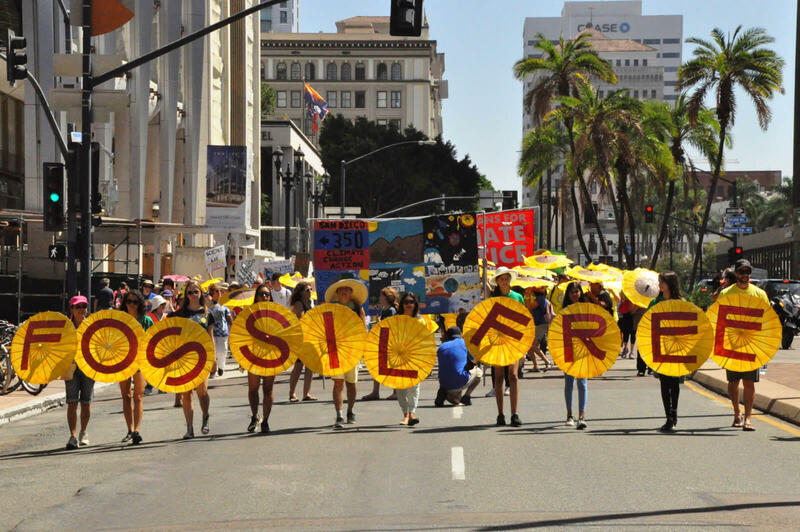 Southern California Activists Will Spend This Week Promoting "Green New Deal"
Southern California activists march in last year's 'People's Climate March' in downtown San Diego. Area activists will this week are planning events to promote the "Green New Deal" introduced in Congress last week. Grassroots groups are mobilizing across California and the nation this week to promote the "Green New Deal," a ten-year plan to fight climate change by weaning the country off of oil and gas. KVCR's Katie Trojano has more.